One of the hardest things to prepare for is the unforeseen accident, tragedy, or hard time. It is impossible to know when something might happen to you, but you can have some peace of mind when it comes to events like this when you know that your business is going to be passed on to your kids. One of the great things that you can do is help your family by preparing a database of information for them if something were to happen to you. Now if you are the sole owner of a business, your business will be protected through your family estate or will. Even searching on Facebook can result in solutions for your family business. All you have to do is make sure that the business is specifically willed to your inheritance. You can also set up provisions about the business by setting up a trust or living trust. However there are some things that you should remember. Taxes – The first thing that your heirs will have to do is pay taxes on your business. Make sure that there is enough money in a savings account to pay these taxes or you child(ren) could end up having to sell your business to pay for them. Ability – Think about your children. Are they able to successfully run a business? Desire – Do your children have the desire to run your business? Are they already involved? Do they understand what you do and know how to do it? Finances – The finances for your business need to be in order. This is very important as there can be devastating consequences for your loved ones if it is not. In fact your business could end up being more of curse than a blessing. However if you are a partial business owner then there might be some complications that arise if something should happen to you. The following are some tips for being able to figure out how to protect your business and make sure that it is passed on to the rightful heirs. The Value of Your Share of the Business – The first thing that your heirs will have to deal with is the taxes that are on your estate. If you do not have the proper amount of money set aside for them to pay these taxes then. Also make sure that the value is accurate and that you stay up to date on this. Is Your Child the Right Fit? 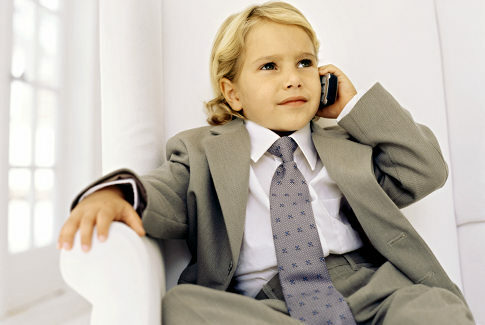 – It can be difficult to determine if your child is the right fit for a business or not. Make sure that you are leaving your child a business that they can successfully take care of and run. What Do the Partners Think? – You also need to talk to your partners and see how they feel about things. Would they rather buy out your share of the business or would they rather work with your child(ren). Is All of the Paperwork Up to Date? – Just like with individually owned businesses you are going to have to make sure that all paperwork is up to date so that your heir is not caught in a paperwork nightmare. Everyone wants to be able to make sure that their family is protected in the event of their death. If you own a business it is likely that you want your children to reap the rewards of your hard work.